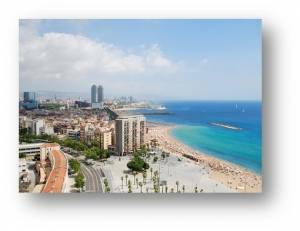 Dental tourism in Spain: Discover Barcelona ! Live the dental tourism experience in Spain! Do you need dental implants or dental prosthesis ? Whatever your problem is, combine useful and pleasure by getting a dental treatment during your dental stay in Barcelona. Benefit from the advantages of dental tourism to receive your dental treatment in Spain and discover Barcelona, a cosmopolitan city, filled with astonishing cultural and architectural heritage, only 2h30 from London. Your Smile Partner consultant is there to facilitate organization of your dental stay in Barcelona. Discover the magnificent city of Barcelona, find cheaper transportation solutions and book your accommodation easily together with Smile Partner. Marie Carmen, your on-the-spot English-speaking assistant, will remain at your disposal throughout your stay and will ensure the proper course of your dental treatment in Spain. At our dental clinic in Spain, our experienced and highly qualified French-speaking dentist will take care of you. 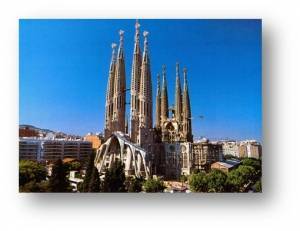 What is the price of a dental trip to Barcelona ? 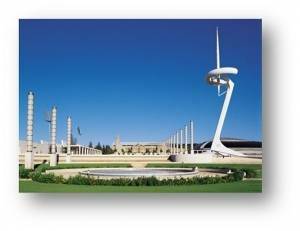 Your consultant, a dental tourism specialist, will accompany you at each stage of your dental trip to Barcelona. Thanks to our preferential prices and privileged conditions, enjoy your stay in one of the most beautiful cities of Europe for less than 300€ (flight + accommodation) and save up to 50% on your dental treatment in Spain, subsistence expenses included. In order to limit any additional expenses during your dental treatment in Spain, Smile Partner has made for you a selection of hotels and apartments in the vicinity of the clinic and the seaside, to suit your preferences. There are plenty of low-cost airlines servicing Barcelona international airport El Prat, which is just in a 20 minutes trip from El Credo dental office. Your Smile Partner consultant will recommend you airline companies than propose a roundtrip ticket for less than 150€, departure from the airport of your choice. El Credo dental office has an ideal location in the very center of Barcelona, not far from the famous Plaça Catalunya and Passeig de Gracia, the equivalent of French Champs-Elysées. Benefit from the advantages of your dental stay to visit Barcelona, the city of Gaudi, whose main creations, such as Sagrada Familia, Güell park or even Casa Mila are the world-famous emblems of the city.